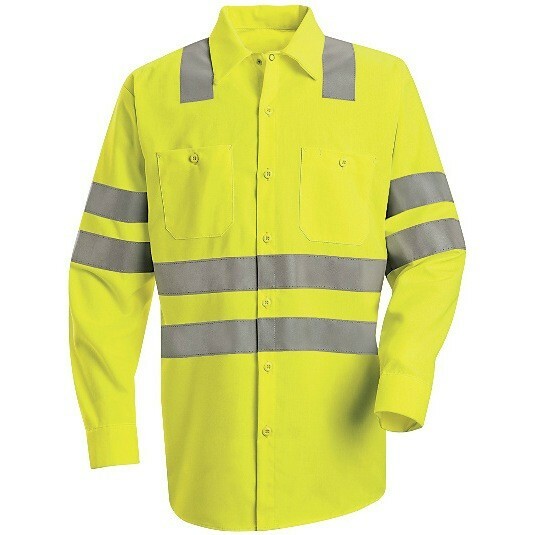 Home > Shop by Gender > Men > Shirts > Safety & Hi-Vis Shirts > SS14SB Hi-Visibility Work Long Sleeve Fluorescent Yellow/Green Shirt - Class 3 Level 2 "X"
Home > Shop by Category > Shirts > Safety & Hi-Vis Shirts > SS14SB Hi-Visibility Work Long Sleeve Fluorescent Yellow/Green Shirt - Class 3 Level 2 "X"
Hi-Visibility Work Long Sleeve Fluorescent Yellow/Green Shirt - Class 3 Level 2 "X"
UPF 40 protect on-the-job you. ANSI 107-2004 and ANSI 107-2010 Class 3 Level 2 Compliant. Yellow/Green Shirt - Class 3 Level 2 "X" "X" marks the spot - your spot. 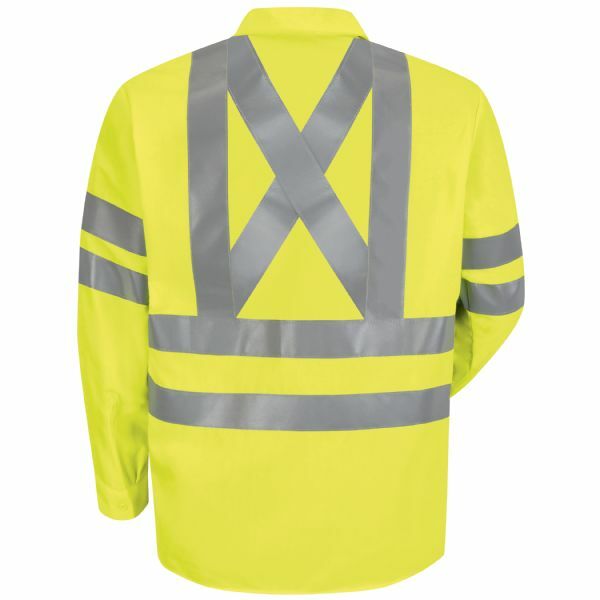 A reflective "X" on the back enhances 360° visibility and reflective striping around the arms and body, and UPF keeps harmful sun at bay. ANSI 107-2004 and ANSI 107-2010 Class 3 Level 2 Compliant. Fabric: 5 oz. Poplin. Finish: VISA finish with soil release and wickability. Pockets: 2 Button-thru chest pockets with pencit stall in left. Other: *360° degree visibility. *NOT Flame Resistant. *UPF 40 Rating. *ANSI 107-2004 and ANSI 107-2010 Class 3 Level 2 Compliant.